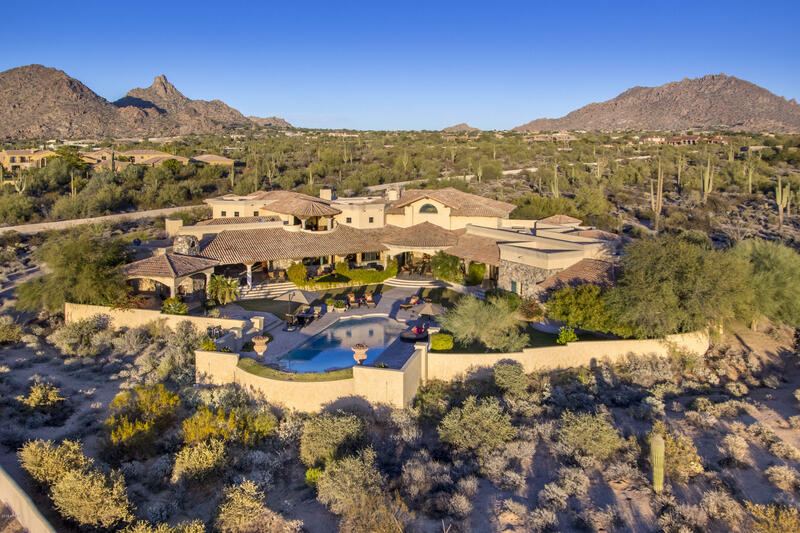 All The Peak homes currently listed for sale in Scottsdale as of 04/24/2019 are shown below. You can change the search criteria at any time by pressing the 'Change Search' button below. 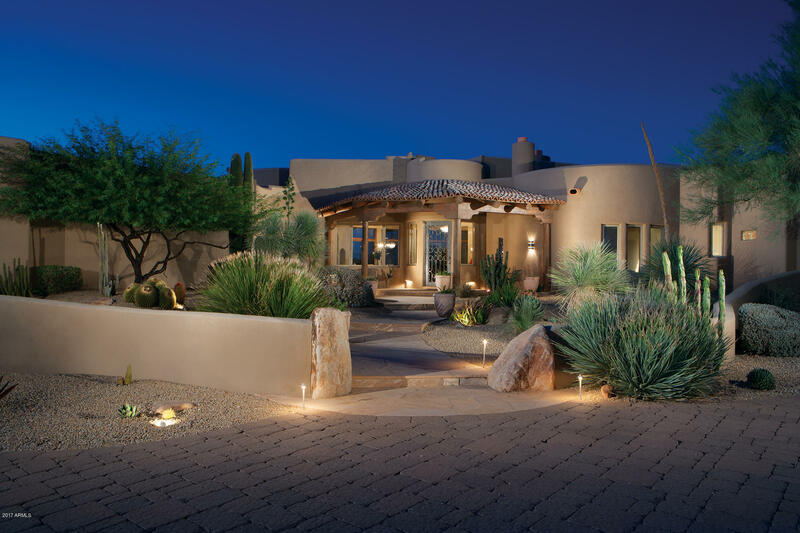 "Nestled on 4+ acres of high sonoran desert, this Magnificent Mediterranean Villa awaits. Tranquil & secluded, this superbly crafted residence offers breathtaking views of mountains, dazzling city lights & magical sunsets. Step inside the gracious foyer to soaring ceilings & one of three disappearing glass walls that welcome you to the elegant backyard w/ the city view below. All living is main level (incl. 2nd master), except the spectacular private master suite. Lavish amenities include Control"
"The perfect harmony of privacy and style tucked within The Peak, a gated north Scottsdale luxury community of 34 estate homes, all on generous 4+ acre homesites. Embraced by the iconic Pinnacle Peak Mountain to the north and city views to the south, this impeccably maintained original-owner home exemplifies classic Arizona living. An interior glimpse reveals a clean architectural style and palettes of sophisticated finishes including sculpted fireplaces, natural flagstone floors and detailed woo"
"Sensational Views! 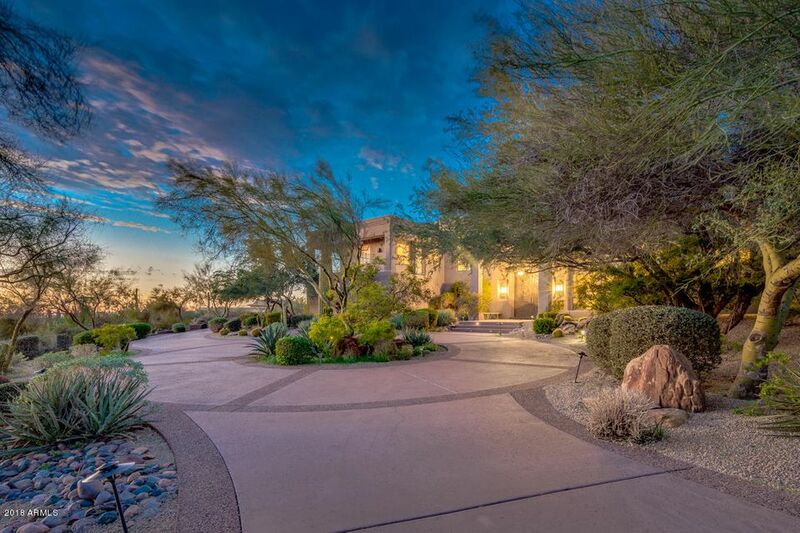 Custom home designed by renowned builder, Salcito Custom Homes, this impeccably maintained estate is nestled on its own private desert sanctuary a 4+ acres ensure privacy and freedom to add anything you can dream of! Move in right away or use the pre-existing structure to catapult your personal visions of grandeur! Master bedroom on main level with huge closet, welcoming fireplace and private patio access. Massive extended covered patio for year-round enjoyment. Open kitchen s"